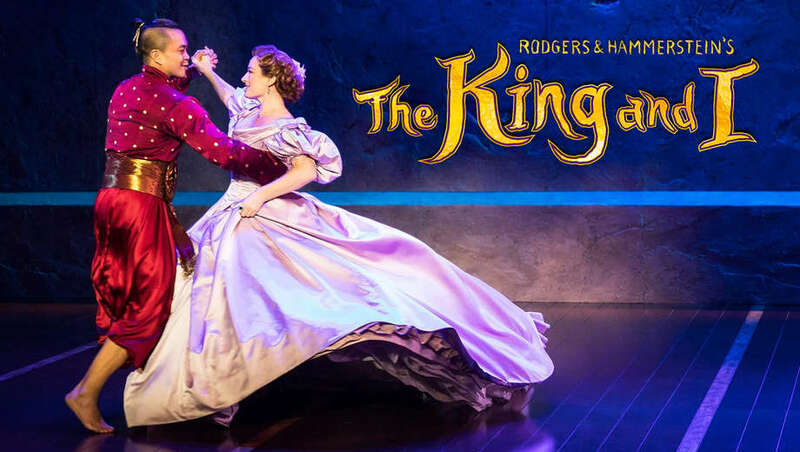 The Lincoln Center Theater’s production of Rodgers and Hammerstein’s The King and I which ended its record-breaking sold-out season at the London Palladium in September is going on tour next year kicking off at Manchester Opera House on 26th April. Jose Llana (who was in the production on Broadway) will play the King, alongside Annalene Beechey (who understudied for Kelli O'Hara in the West End) as Anna. .
Cezarah Bonner (Miss Saigon) will play the role of Lady Thiang, alongside Kavin Panmeechao and Kamm Kunaree who will play the young lovers, Lun Tha and Tuptim.Also joining the cast will be Kok-Hwa Lie in the role of Kralahome and Aaron Teoh Guan Ti as Prince Chulalongkorn. Philip Bulcock will take on the dual roles of Captain Orton and Sir Edward Ramsay and William M Lee will play Phra Alack. The female ensemble will include Yuki Abe, Miiya Alexandra, Aiko Kato, Misa Koide, Ela Lisondra, Yuki Ozeki, Ena Yamaguchi and Sian Yeo. The male ensemble will include Iroy Abesamis, Cletus Chan, Steven Hardcastle, Eu Jin Hwang, Jesse Milligan, Prem Rai and Joaquin Pedro Valdes. The Swings will be Rachel Jayne Picar, Nick Len, Jasmine Leung and Samuel How. Set in 1860s Bangkok, and hailed as one of Rodgers & Hammerstein's finest works, The King and I has a cast of more than 50 and full-scale orchestra with a score featuring classics including Hello, Young Lovers, Shall We Dance?, I Have Dreamed, Something Wonderful, Whistle a Happy Tune and Getting to Know You. The musical tells the story of the unconventional and tempestuous relationship that develops between the King of Siam and Anna Leonowens, a British schoolteacher, whom the imperious King brings to Siam to tutor his many wives and children. The revival has design by Michael Yeargan, costume design by Catherine Zuber (who won a Tony Award for her designs in New York), lighting design by Donald Holder, sound design by Scott Lehrer, choreography by Chistoper Gattelli, musicial supervision by Ted Sperling and musical direction by Stephen Ridley. Below are the dates we have at the moment.